Royal Navy Tugs at the Grand Harbour, Malta explores another fascinating, albeit forgotten aspect of this magnificent port. 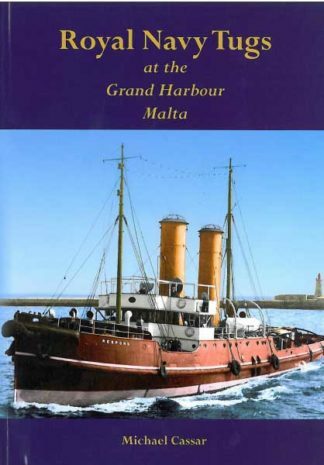 Small, insignificant and constantly overshadowed by the ships they served, Admiralty tugs nevertheless played a vital role at the Malta Dockyard, one of the most important in the British Empire. Their enduring presence made them well known and instantly recognizable by the inhabitants of the Grand Harbour area. This fact alone makes them worth recording for the sake of history and memory but this book is also intended as a tribute and celebration for the Maltese and British crews who served in the tugs.